Pommeau is a French created drink made by mixing pressed apple juice with Calvados (apple brandy).....however, its never that simple! 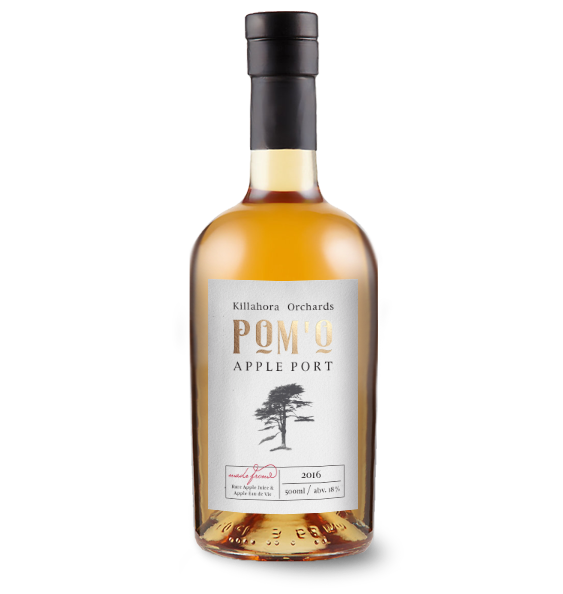 (we have called it a Port, as Pommeau isnt something particularly well known over here, yet). Technically considered a mistelle,(a mix of fresh unfermented juice and eau de vie or brandy), although in our process we do add a little something special that involves a degree of fermentation, which provides a more nuanced character and bridges the gap between the fresh clarity of the juice, and the warming oomph of the distillate. This is our first production batch after a number of experiments with different juice types, different eau de vies and woods, (including, Calvados, Perry Pear Juice, Apple Poitin, an Apple Grappa, Aged Rum, wood from Irish whiskey casks, rum casks, and more! ), to get the basic balance right and to understand how the freshness of the juice tempers over time as it enmeshes with the distillate, and into a more subtle flavour....only to find that the apple pops out again after around a year and a half. Curious that. Needless to say, with this years apple varieties available pushing over 50, we had much to choose from, and have gone for our central goal - to give a balanced taste that seeks to span as much of the spectrum of Apple tastes as possible. We did fortunately have some of the great Binet Rouge, a staple of great French Pommeause such as Domaine DuPont, but we have sought to bring a bit more of what our land has grown in the use of some of the fabulous vintage flavours of apples like Sweet Alford, Somerset Red Streak, Angela and Lizzy. Aroma is subtle, spiced and give apricot, plum, and warm desserts. Taste opens with a hint of acid and gives way to rounded fruit, toffees, with toasted wood notes in the background. Hints of spiec and smoke with a receeding tannin towards the end. While we have again gone for a balance, we erred ever so slightly on the side of robust in alcohol, to counter some of the soft tannins and sweetness in the apple juice used. Serving at 8 deg C or less as an aperitif, or at a warmer temperature for afters to bring out most of the dessert flavours. Also pairs great with mouths!